There is nothing quite like a jelly polish to make things all right. 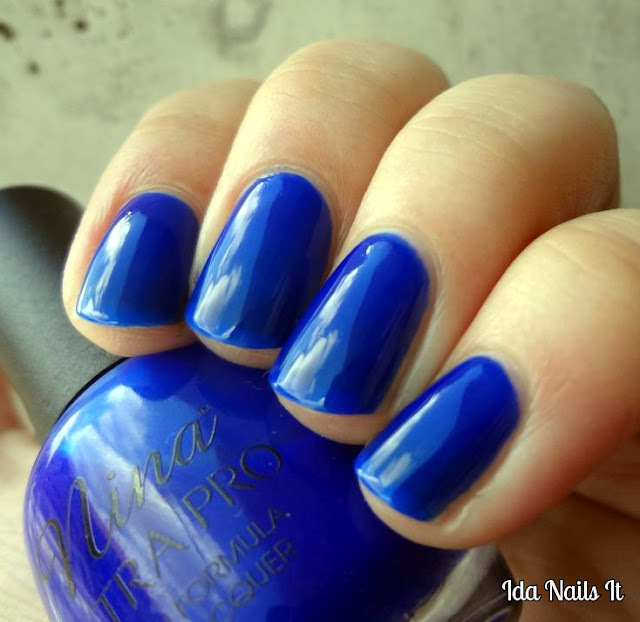 Nina Pro Cobalt is one of my favorite jellies. The formula is not a thin as some jellies so I can apply only two coats and get full coverage. I have become used to the paddle brush, to the point that I....almost like it? No no, that's just the rubber cement like fumes from the polish. If you happen to stop by Sally Beauty Supply and haven't purchased this polish, I highly recommend doing so. 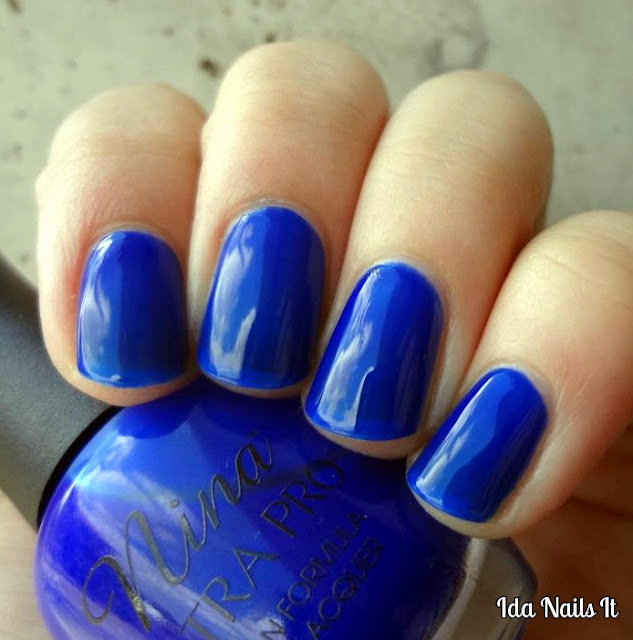 Nina Ultra Pro Cobalt can be purchased in stores at Sally Beauty Supply or their website.